With this slogan the German Freemasonry and its 400 lodges celebrated the 275th anniversary in 2012 together with delegations from all over the world. Already in 1735 the Grand Logde of England envisaged the founding of Lodge in Hamburg and Lower Saxony under the number 124. 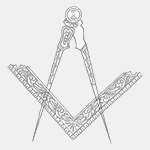 Thus the first Lodge of Hamburg and in Germany at all was founded in 1737. In 2012 the German Grand Lodges and their affiliated lodges celebrated their 275th recurrence of this meaningful event. The acting mayor of the Free and Hanseatic City of Hamburg – Mr Olaf Scholz – highlighted in his speech the achievements of the Hamburg Freemasons in many different sectors of our city and wished us good luck and success for the future during the senate reception at the Town Hall. The Grand Master of the “United Grand Lodges of Germany”, Dr. Rüdiger Templin, invited our Grand Masters from all over the world to a reception at the trading floor of the Chamber of Commerce Hamburg. Following Dr. Templin was re-elected for a further period at the convent of all German Lodges. 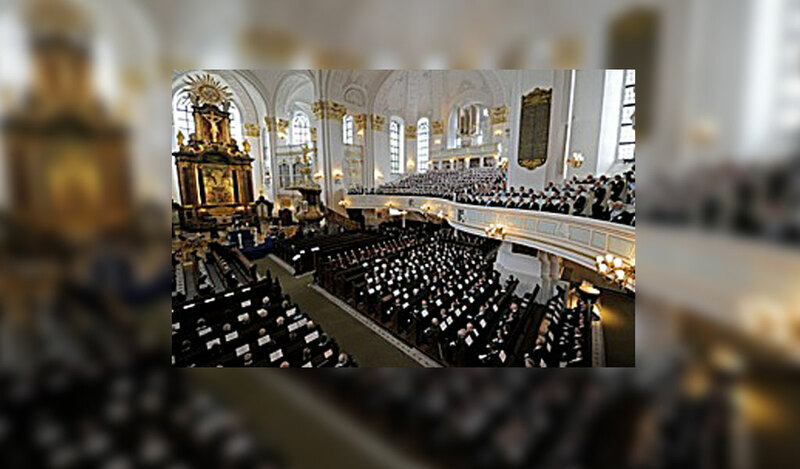 An impressive decorated temple ritual in the colors of white and gold held in the Baroque Church St. Michaelis united more than 1,700 participants of the German Freemasons and the delegations from 57 countries. In presence of press and television the participants had been introduced formally to the global usual rite. During our gala attended by women many interesting and face-to-face conversations with our visitors from all over the world came off and thereby several international existing friendships have been cemented. The following day the very remarkable “ordered- world-premiere” of the “Parable of the Rings Symphony” by Br. Gotthold Ephraim Lessing for Gr. Orchestra, organ, choir and soloists of the composer Gloria Bruni took place in a full house in the Laeisz Hall. The Symphony was performed by the Hamburg Symphony Orchestra. During the week of the celebrations an exhibition of Freemasonry in Hamburg took place at the town hall entrance. It reported about the work of famous Masons of Hamburg in their hometown. At the same time a stonemason produced a fountain for St. Michaelis Church on behalf of the Hamburg Masons in a special decorated historic stonemason shelter placed at the “Gänsemarkt” – right next to the Lessing monument. Today, after the celebrations have ended all brothers meet again in their lodges regularly with the members of their fraternity and visit other lodges in neighboring cities and countries in order to cement the so-called world-brother-chain which has been existing for many centuries.